Home Basketball Kobe Bryant, new successor to Magic Johnson in Lakers? 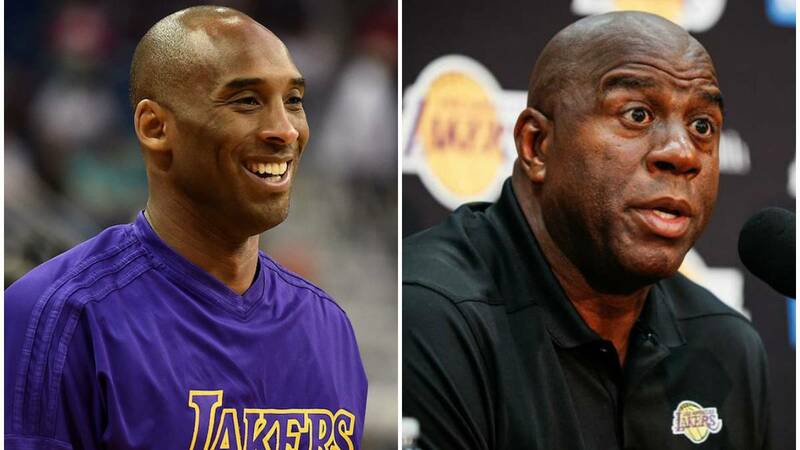 Kobe Bryant, new successor to Magic Johnson in Lakers? The eternal number '8' of Los Angeles Lakers is the favorite of the fans to be the successor of Magic Johnson in the presidency of the team. La playoff crisis in Los Angeles Lakers had an unexpected victim. Magic Johnson announced his departure from the team, after just over two years of being with the organization. The reasons could be several, but the Magic said "he was not happy", reason enough to leave the institution and see again "the bulls from the barrier" and remain as one of the greatest idols of the Lakers. Magic Johnson can boast among his achievements as president of operations of the Lakers he have obtained the signature of LeBron James to reach the team from the 2018-19 season of the NBA. This Tuesday unexpectedly said goodbye and now he will look for a substitute for his position, but the fans of the Lakers already have the right candidate to take his place. Does not have experience in a managerial position, nor has he shown his desire to become a "long pants" man in any organization NBA ation, but Kobe Bryant is one of the top legends of the Lakers, and a name that the Los Angeles fan will never forget. In social networks, fans have been made to feel great with the fact that Bryant be the new president of operations of the Lakers, and as in his time as a player, be able to take them to large instances and return that winning mystic to one of the squads with more titles in the history of professional basketball. The Lakers are have distinguished for being a team that have turned to men "from home" to get the project afloat, as it was Magic Johnson, and as it has been the coach Luke Walton. ¿Kobe will heed the call of the fans and express your desire to return back home?